For the good of your health, your yard, and the planet, you should strongly consider starting a garden that caters to the world's best pollinators, the bees. Beginning a garden may sound intimidating, but it's pretty simple if you go in with a plan and a little bit of know-how. Here are some essential tips for making sure your first garden will be a place that bees will love. Not everyone has the yard space to plant a giant bee garden. Some live in smaller homes with smaller plots - especially city-dwellers. There are plenty of ways to make use of the space you have, however. Plant flowers in planters, pots, hanging baskets, window boxes, and up walls (flowering vines). Stack planters if you can, as you're likely to have more space vertically than horizontally. For more tips on how to make use of a small garden space, check here. Those new to gardening may not know that plants don't bloom all year and that most plants have specific times of the year that they're in bloom. Primrose, for instance, will bloom in early spring and then be done for the year. A black-eyed susan, on the other hand, won't bloom until the end of summer. You want to know the blooming schedules of common flowers so that you can plant smartly. Always have at least some flowers in bloom in your garden, so that bees will always have a place to stop and collect pollen & nectar. Here's a nice bloom schedule guide to get you started. Sure, you want your garden to contain the flowers you think are pretty or the fruits and vegetables that you want to eat, but if you're truly doing this for the bees then you need to think about their preferences when it comes to plants. 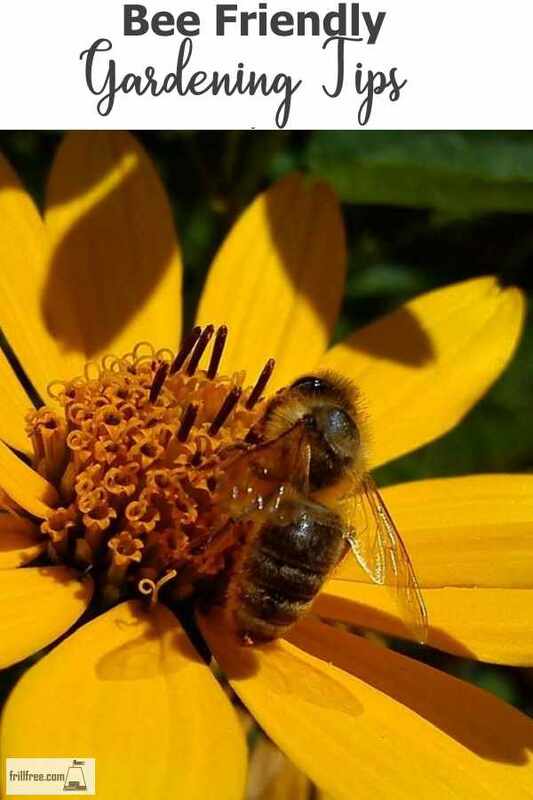 There are three characteristics that bees love when it comes to flowers. First, while honeybees are attracted to a variety of plants, other types of bees go crazy for native plants (plants local to their specific area). Next, bees love fragrant, colorful flowers. Blues, purples, and whites are among their favorites. Finally, bees like flowers that are easily accessible, so the more complex the petal/interior structure, the worse they are for bees. Here's a good place to start when picking plants bees are known to love. Why should I start a bee-friendly garden? So you're armed with some tips, now why should you do the work? Beyond the numerous mental and physical health benefits of taking up gardening as a hobby, doing what you can to help your local bee population is one of the most environmentally-friendly actions you can undertake. Bees, as our most important animal pollinators, have a hand in pollinating at least one out of every three bites of food you consume. At least 70% of the top crops, globally, depends on bees at least in some part. Bees are in danger, as habitat destruction, pesticide use, and food shortages due to climate change have reduced their populations globally. Starting a garden in your own backyard may not be easy (it takes time, know-how, and some physical labor) but it's an investment that is worth the effort. Growing plants from seed, bulb, or nursing adult plants to greater health is a great way to teach you and your kids about life, produce beautiful flowers, grow healthy food, and protect one of our greatest natural allies - the bees. Maria has suffered from depression and anxiety for years. Her hobbies--like gardening--play a major role in maintaining her mental health. See more about Maria on her website Hobby JR.